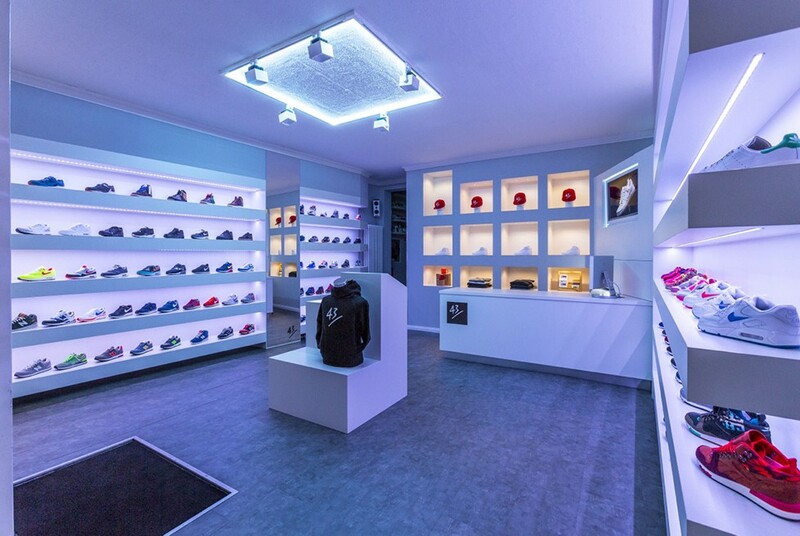 43einhalb, top sneaker-store in Frankfurt and Fulda. 43einhalb was born from an idea of Mischa and Oliver who, after working together as writers for various German sneakers-magazines and for the famous site SNEAKERIZED.COM and also creators of their own sneakers brand, called "flaek footwear", decided to give birth to their own dream. 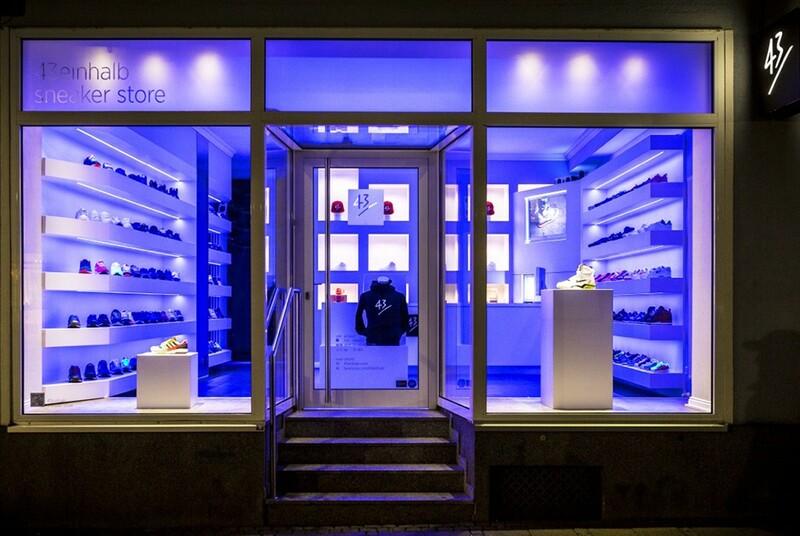 In short two real 'sneakerheads' for which giving birth to their own sneaker shop was just a matter of time. In implementing their project, the two involve friends who, with the development of the project, come to make the crew more and more rich and skilled. 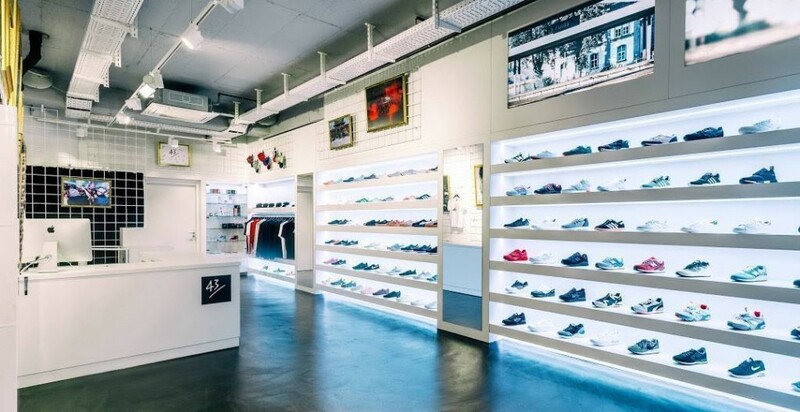 The store is specialized in various types of sneakers, with great attention to unique models and limited editions, accompanied by great classics. The brands are the main ones, side by side with some more niche brands. 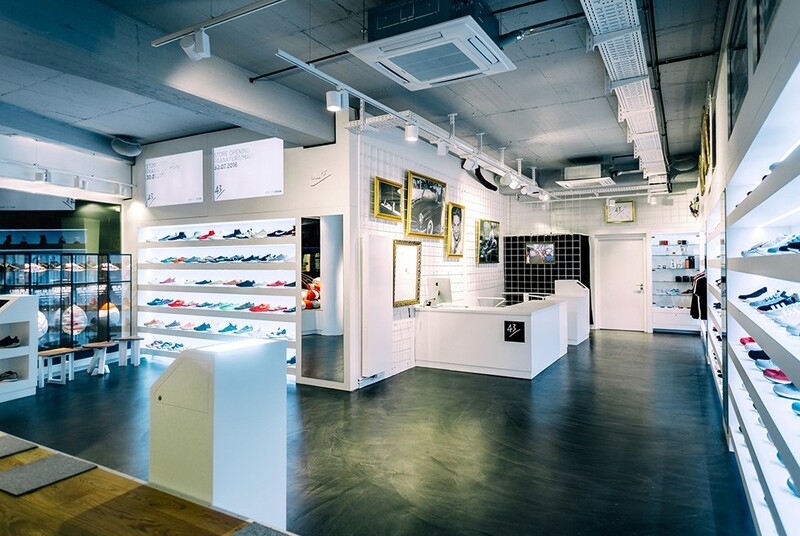 Here are just few of the names: Nike, Adidas, New Balance, Reebok, Puma, Kangaroos, Karhu, and the very limited and soughted-after Yeezy and Jordan that create huge queues at the store entrance at each release. 43einhalb has not only two great design stores in Frankfurt and Fulda but also a modern, efficient and ultra-stocked online shop.